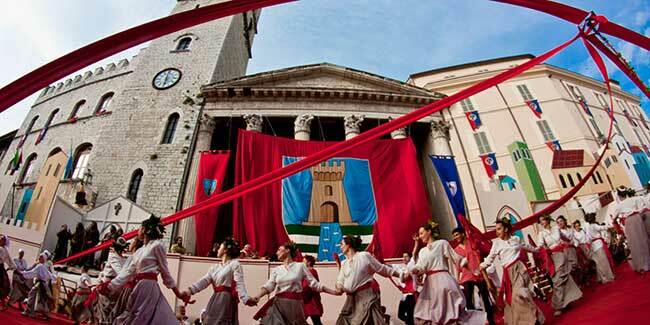 Every year (the first Thursday, Friday and Saturday after the first of May) a festival to celebrate the return of spring and the renewal of the cycle of life is held in Piazza del Comune, the historical centre and hub of social, cultural and political life of the city. “Il Calendimaggio” is a feast of pagan origins, which re-enacts the contraposition of the two factions ideally dividing the city into the Noble Parte de Sopra ( Porta Moiano, S. Rufino and Porta Perlici) and the Magnifica Parte de Sotto ( Porta S. Giacomo, Porta S. Francesco and Porta S. Pietro). 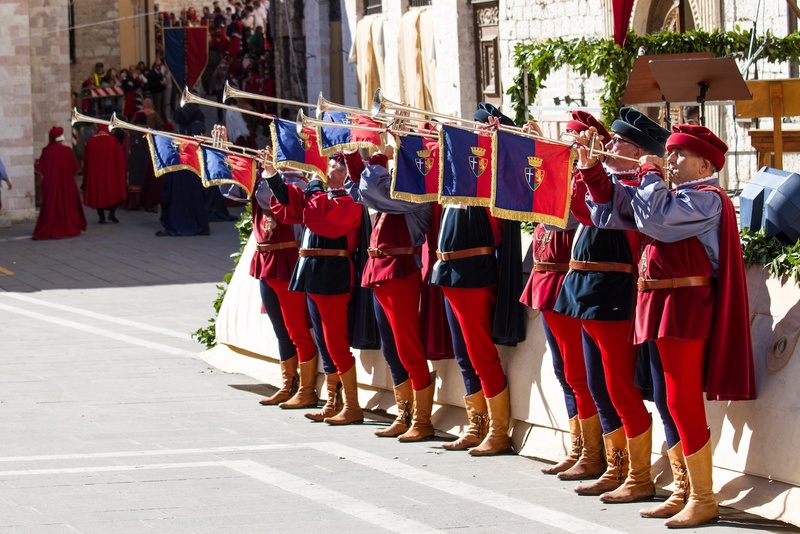 Ancient chronicles tell us that Assisi reached its golden age in the early fourteenth century. The division of the city (not the only example in Italy) dates more or less from this period. The first bloody clash that we know of began on 14 November 1376. The Lower Part (Parte de Sotto) shouting " Kill! Kill!" surprised their opponents in their sleep; but that was only one link in a long chain of brutality. In 1954, with the enthusiasm of all the citizenry, the festival assumed the fascinating form it still conserves today: the challenge, the contest, between the two "parties" of the city is renewed; this time it’s not bloody, but for three days the town regains the atmosphere that characterized it in past centuries, with scenes of medieval life, “Messeri and Madonnas” dancing and singing the praises of love and life. The winning Part is decreed by a three-member jury composed of an internationally renowned historian, musicologist and show business celebrity. 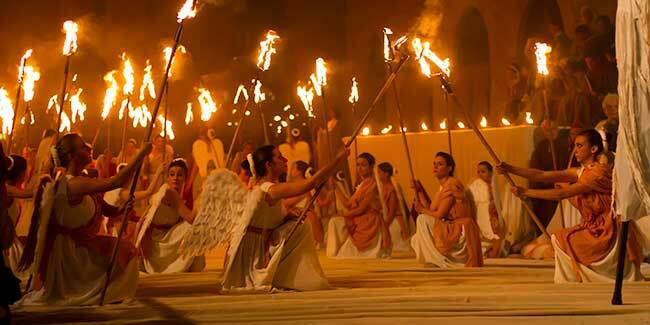 The festival was recently nominated for inclusion in the UNESCO List of Intangible Heritage of Humanity.